Last week I shared a few of the blocks my students made in the Twirl-A-Tool workshop. This week I thought I would share a few of the “ah ha” moments and tips they found helpful. Twirl-A-Tool uses half-square triangles in a couple areas of the block. 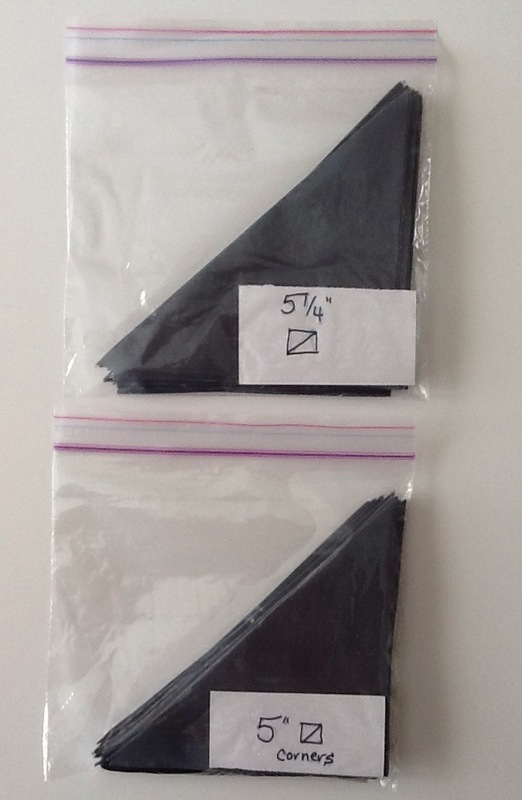 One square is cut 5 1/4″ and the other 5″, then cut diagonally once. You can see how these will be very similar in size. I had all my half-squares in separate clear zip bags. Part of the way through piecing a block several understood why I had them separated. A couple of people had used the wrong size. Good to have a seam ripper as a friend! #1 – Label pieces! Especially when they are similar in size. 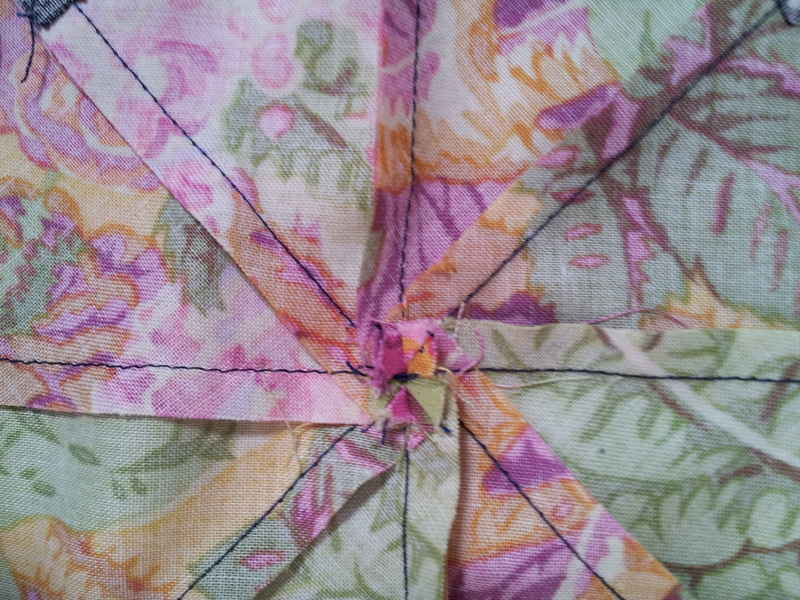 A second good use of a seam ripper is to open up seams. The twirl block has eight seams that come together in the center of the block. By opening up a couple stitches in the middle, you can manipulate the seams into a spiral. This will distribute the seam allowances and help the seams lay flatter in the block. #2 – Manipulate seam allowances to distribute thickness of seams.